Chillin' with the latest Final Fantasy mobile game? Utilize these tips to get you off the ground. If you're a massive Final Fantasy fan, chances are you play the latest games in the franchise even if they're not that savory. Final Fantasy Brave Exvius is all about microtransactions and all of those fun things, but it's still an interesting specimen if you don't mind being annoyed a bit for a chunk of savory fanservice. 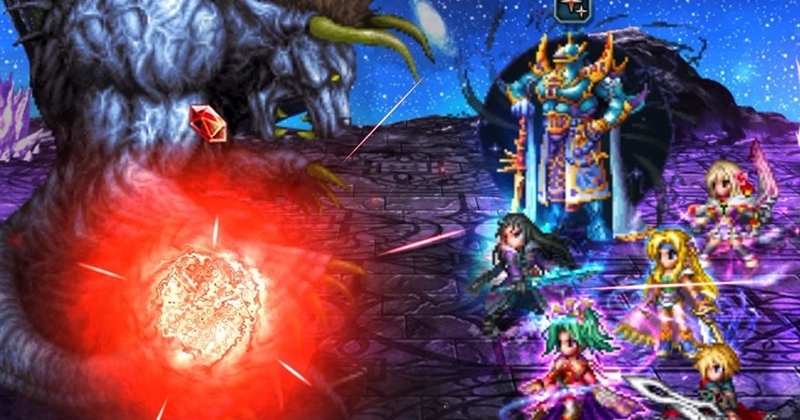 If you feel like taking on the world in Brave Exvius, there are some things you should definitely keep in mind if you want to keep on top of your game. Remember, Rain isn't going to be able to summon popular warriors with his own might. That's where you come in. It's one thing to log in and play sometimes when you feel like it, perhaps when you're sitting on the throne and need a few minutes to kill. But it's another to log in specifically and make sure you get your daily bonuses, which will go a long way for you in Final Fantasy Brave Exvius. Make sure you grab those daily quests and grind them out no matter what. You can earn extra gil, Lapis (premium currency) in this manner. Earning Lapis like this without having to spend actual money is one of the best ways to stay on top -- plus, you don't have to do that much beyond sending friends gifts, claering vortex quests, and other incidental things that don't take you much time to complete. Of course, these are just dailies that you need to worry about. Don't forget about the actual in-game quests, too. When you first get to the Town of Mitra, make sure you check out the villagers with quests to give you. You'll have to talk to them like any other NPC out there in order to figure out what they want, and if you can help them out you'll be rewarded handsomely in many cases. You can even receive spell recipes in this way. They can be frustrating if you're not sure where to find a specific item or if you're not sure how to proceed, but they're absolutely worth pouring time into, even if it's just fifteen minutes here and there to add to your cache of items and other basics for the game. You can get 50 Lapis for daily quests, and if you rate the app you can get an easy 100 Lapis as well. Don't waste those Limit Breaks. When you head into battle, just like the regular Final Fantasy games, don't just waste your hard-earned Limit Breaks by using them willy-nilly. When you attack enemies, you'll see red crystals coming out of them. They're Limit Crystals, which you can use to increase your entire party's Limit Break gauge. Once you've collected enough you can unleash a torrential downpour of pain upon your enemies. If you can fight off a regular enemy without resorting to a special attack, go ahead and do so. Don't worry about unleashing your Limit Break on "peon" enemies, because these crystals are few and far between. If you've got to use them, unleash them on tough enemies or bigger bosses that you need extra help with. Make sure you unlock stronger summons first. Ifrit is a great choice for you to go after first after Siren. You'll have to go to Port City Lodin in the story mode of the game to obtain Ifrit's story quest, but it's well worth doing if you can get it done quickly. Make sure you also head after other summons as soon as possible to make the game a lot simpler for you. If you can help it, don't spend your Lapis on silly things. Save it all up until you can summon a unit if you get a bonus for doing so. In the beginning of the game before you're able to upgrade material slots, keep the ones you can't use and sell the rest off. Don't waste time adding slots for units, ability or item slots or equipment.